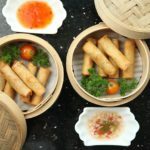 Living in Singapore, I have opportunity to taste and experiment with different types of noodles. 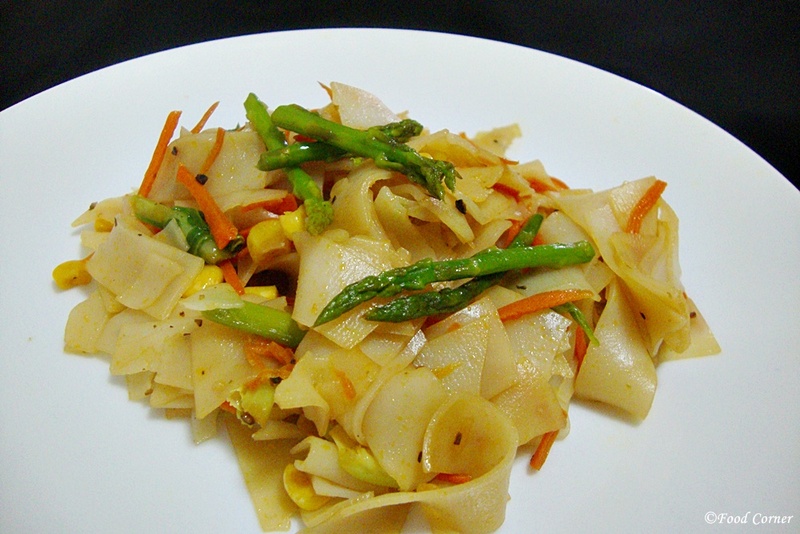 Flat rice noodles are another type of noodles I love to cook when we need a different taste. The famous Singapore dish or the famous Chinese dish, Char Kway Teow is a kind of stir fried flat rice noodles. But I am not going to share the recipe of Char Kway Teow. 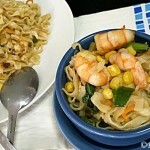 Instead, this is a very easy and quick noodles recipe with flat rice noodles. 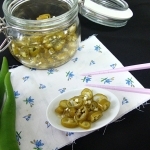 I used few stalks of asparagus in this recipe for both taste and healthy benefits. Before the healthy benefits, asparagus gave this dish an inviting look, and of course it added some extra taste. 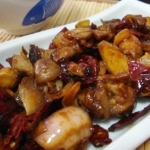 Although I didn’t cook Char Kway Teow, we had something great with the pack of flat rice noodles which I bought sometimes ago with a plan of cooking this famous Chinese dish at home. 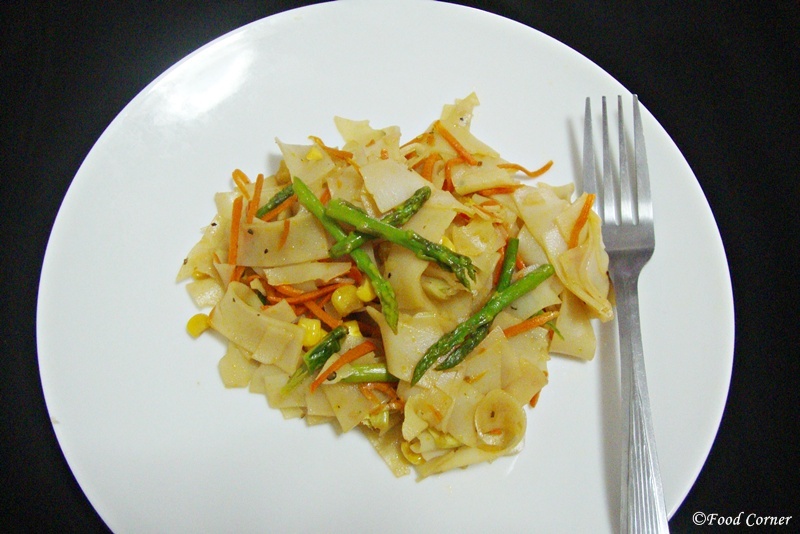 It was always postponed and finally here is what I did with the packet of flat rice noodles. 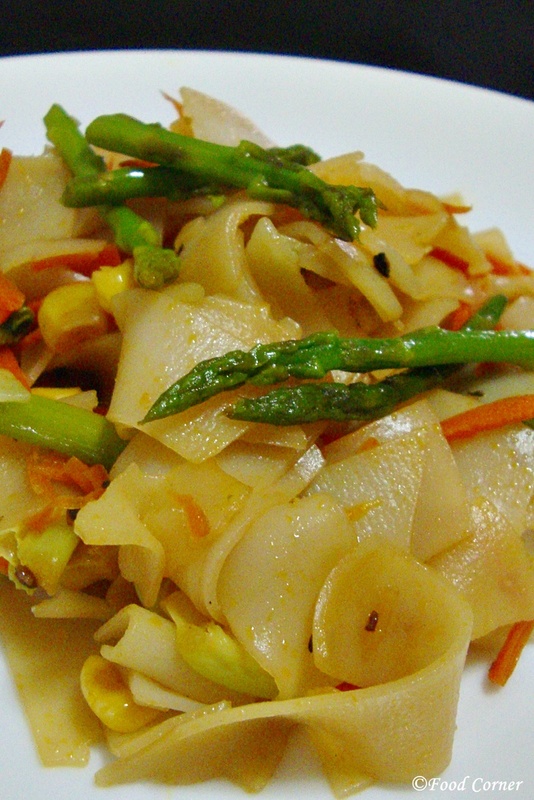 Try this Stir Fried flat rice noodles recipe. Sure, you will like it. In a bowl mix all ingredients under seasoning. Keep aside. Cook flat rice noodles according to package instructions. Drain water and keep aside. Now it is time to stir fry the noodles. 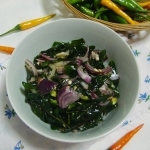 Mix well and add chili paste. 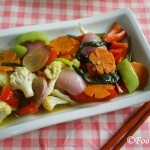 Stir fry for another one minute or until fragrant. Then add cooked flat rice noodles. Pour the seasoning over it. Mix and stir fry for another 2-3 minutes. Yes it is delicious.Thanks for the comment…. Popular it is over here too. Nice veg version. Packed with nutrients. In the ingredients you mention garlic but in the method it’s ginger and no mention of garlic. Corrected it.It should be garlic. I love asparagus, and with these noodles it sounds delicious. Thank you for sharing and thank you for linking up at the #HomeMattersParty this week. Hope to see you again next week. 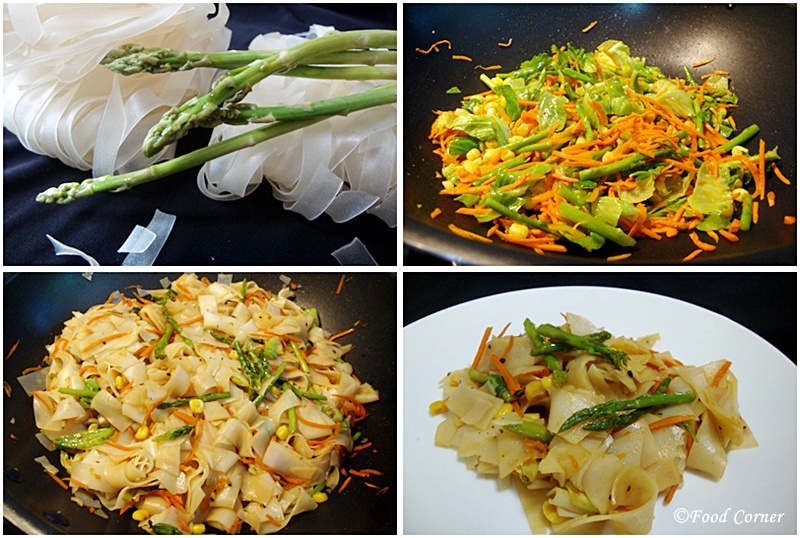 Yes,this noodles is delicious with asparagus.Thanks for the comment.